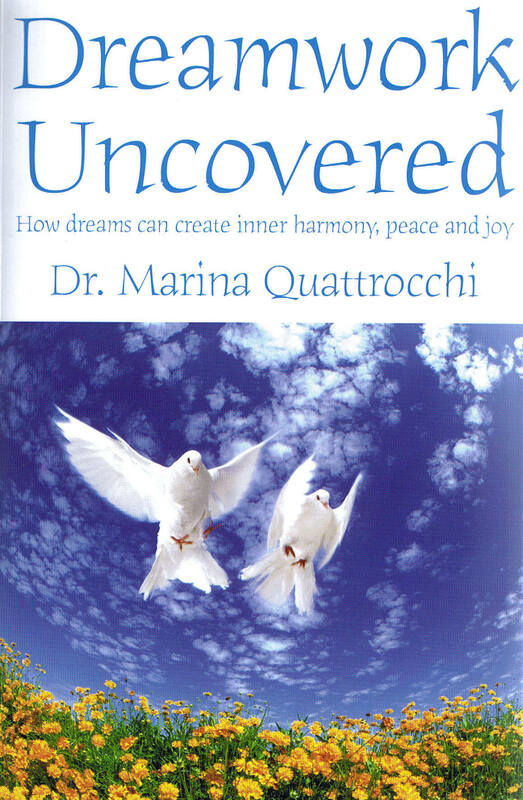 I wrote Dreamwork Uncovered because I believed dreams were never meant to be the sole domain of psychologists, psychoanalystics, or academics. It grew from my experience of working with dreams for nine years with my students at St. Augustine Secondary School in Brampton. I’m incredibly grateful to all my students who shared their dreams and innate wisdom with me. Our research together became the subject of my doctoral thesis on dreams, and when it was completed I wanted to write an easy to understand book or manual for deciphering the meaning of dreams. This understanding can take place without years of formal training. I’ve found after only a week or two most people are unlocking the valuable insights contained in their dreams. Several features of Dreamwork Uncovered make it unique. Dreamwork Becomes Accessible to Everyone Dreams can be studied from many viewpoints; religious, spiritual, scientific, medical, historical, psychological, or academic Dreamwork Uncovered combines elements of each in an easy to read manner. Inclusive in nature, it’s overall tone is spiritual rather than religious which excluding no one, even atheists. It shows the differences between religion and spirituality explaining that whether we are religious, spiritual, or a non-believer we still dream every night and can use dreams and the techniques in this book to enhance our lives. Explanation of Why we Dream Knowing the purpose of dreams is necessary to understand their messages. Dreamwork Uncovered explains karma and dharma in detail–the main reasons why everyone dreams. Several real life accounts are given so readers begin to understand how dharma and karma affects their lives. Life is not unfair as many believe, no one is a victim unless they choose to be, and everyone has great potential to shape their destiny. Dreams help to dissolve all the illusions, emotional pain, and physical suffering that exists. As the Buddha said, “life does not need to be difficult.” This book is not just about dreams, rather it weaves dreams and waking life together teaching the reader how to live with greater purpose and passion. Understanding these concepts can be life altering and provides great hope. Intent is Full-Enlightenment Ultimately dreams are preparing us for full enlightenment or self-realization–the process where we transcend our physical bodies and do not need to return to countless incarnations on earth. Achieving enlightenment was never meant to be the domain of saints or mystics; it is available to everyone who truly seeks. This fully enlightened state is explained in detail and how dreams guide us towards this process. Deja Vu Experiences. Dreamers have deja vu experiences when they go forward in time in the dream state, observe something, then come back to the physical world with no conscious memory of this nocturnal experience. Often a small, seemingly insignificant physical event triggers their memory. In Dreamwork Uncovered fascinating stories are given of the author’s own deja vu experiences along with those of students and clients. How and Why Dreams Fell From Grace Until a few centuries ago dreams were highly respected as sources of wisdom. Dreamwork Uncovered describes the historical process over the last thousand years that led to the mistrust and demise of dreams. Teenager’s Unique Sleep Needs The sleep process and unique sleep needs of teenagers is explained. Teenagers have completely different circadian rhythms and need more sleep than adults. This is either unknown or misunderstood in society and is extremely helpful to teenagers, parents and teachers. Reoccurring Dreams, Nightmares, or any Parasomnia All the parasomnias are explained in detail, along with what causes them and how they can be released. Sleeping disorders are widely misunderstood because they are approached from a medical rather than spiritual viewpoint. This is perhaps one of the most ground breaking aspects of the book, because medicine still contends we don’t understand why nightmares or parasomnias occur. Once the root causes are understood, drug free techniques can be used effectively. The author has worked with clients who have banished bad dreams and nightmares permanently. Nineteen Keys for Understanding Dreams. This section presents nineteen steps that enables the reader to begin the process of understanding their dreams. They have been field tested with numerous high school students, clients, and participants who have attended my workshops. Reliable Dream Dictionaries. Many people assume that any dream dictionary is accurate, but unfortunately this isn’t true. The reader learns how to identify credible dream dictionaries, and a comprehensive list of dream dictionaries, symbolic dictionaries, and books on symbolism is provided . Arriving at Truth–Knowing if our Understanding is Correct With so much information at our disposal, it can be difficult to know what is right or true. The final chapter clearly outlines why dreams seem enigmatic and how we know if our understanding is correct. It offers several guides and suggestions for arriving and knowing personal truth. BOOK SYNOPSIS Dreamwork Uncovered provides everything the reader needs to become experts of their dreams. Everyone is here to clean up karma, sins or spiritual debts while simultaneously enacting their dharma or destiny. Everyone is a complex combination of light and dark and every single dream is either helping us clear up karma or carry out our dharma, destiny or path. The book explains how dreams are essentially the soul having experiences in different dimensions to help the dreamer evolve. Dreams are like movies or simulations helping us work through the challenges of life. It describes how the soul often travels forward in time creating deja vu experiences. Readers are given step by step instructions on how to remember dreams and keep a dream journal. An historical perspective on dreams is provided. There is a fascinating chapter on famous dreamers and how their dreams changed the world. Readers learn how dreams were revered in ancient times and why they fell from grace. The fascinating process of sleep is revealed. The reader learns what happens to their body during the beta, alpha, theta and delta stages of sleep. They learn how much sleep we need, what happens when we’re sleep deprived, the unique sleep requirements of teenagers, and how to catch up on lost sleep. The underlying reasons for all sleep disturbances such as reoccurring dreams, nightmares, sleepwalking are explained. Proven techniques are given to cast out all demons of sleep. With this foundation in place readers learn the actual techniques or keys to begin the process of decoding dreams. They become acquainted with the 29 most common dream symbols. Many examples of actual dreams and their meaning are provided. Readers learn how to recognize a good dream dictionary. Finally personal truth in dreams is discussed providing insights and techniques for each dreamer to know whether their understanding is correct. This was a very peculiar dream I had that took place in the forest located in my backyard. In the forest the most important detail that I focussed on was the little river or creek that runs through it. At first the forest looked peaceful and gentle, and the little creek was running smoothly. However, the forest started to change and soon became very lifeless. The little creek turned murky and the water ran rougher. In one section of the creek, there was a little frog lying just beneath the surface of the water. As the water flowed it just remained in its place. Then certain objects like twigs and branches started accumulating around the frog and they kept adding up. The most bizarre part of the dream occurred when the arms and legs of the frog started being stretched out. They kept extending out as the water became more rapid. Eventually, the bits and pieces of branches that had gathered around the frog were taken away with the water. The creek became calm once again and the limbs of the frog returned back to normal. At the beginning of the dream I felt relaxed, but as the forest and creek started turning murky I felt upset. I felt sorry for the little frog just laying there and when the twigs started accumulating around it I felt angry. A feeling of frustration came over me when the limbs of the frog were being stretched. After things returned back to normal and I awoke I was filled with a feeling of relief.